A statement ring is one that can stand alone and speak for itself. Such is the case with Margarita! 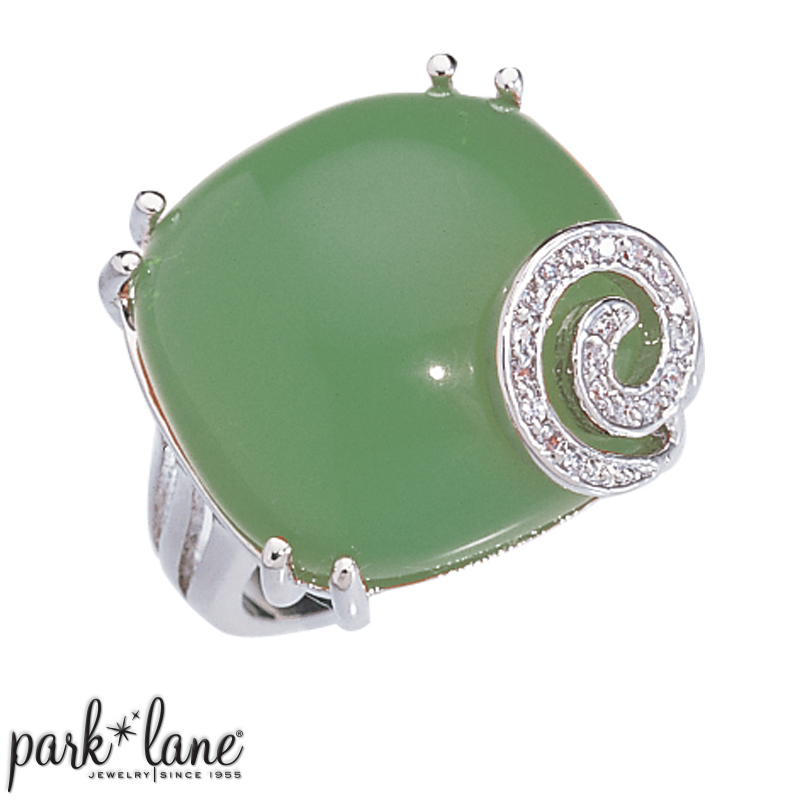 An enormous smooth round genuine aventurine gemstone, set in silver and accented with a swirl of sparkling crystals. Ring is available in sizes 6 through 10.